"The zoo that became a haven for humanity "
Even though it is almost a century since it began, the second World War continues to provide a multitude of stories of heroism and sacrifice. From The Diary of Anne Frank to Schindler’s List, filmmakers have shared the stories of the Holocaust as means of portraying the worst and the best of the human condition. The various depictions show that many times in war, ordinary people are thrust into harrowing situations that place them in the role of protector or savior. Can director Niki Caro (McFarland, USA) offer something new to this familiar genre? The true story behind The Zookeeper’s Wife does provide a different vantage point of the war to end all wars. The true to life story of the zookeepers Jan (Johan Heldenbergh) and Antonina Żabińska (Jessica Chastain) who managed the Warsaw Zoo in the heart of the Polish capital. After the Nazi invasion of Poland in 1939, the vast majority of their cherished animals are sent to Berlin or destroyed. As they suffered through the trauma of this loss of these creatures that were considered to be like family, the Żabińska family had to determine what to do to survive. The challenges of their safety and livelihood were compounded by another issue that was happening within the Jewish ghetto of Warsaw. Many of their friends and neighbours were being rounded up by the Nazis and were systematically being taken away from the capital city. Realising that the zoo was a perfect place to house these persecuted Jews, the Żabińskas worked to protect many Jews from the dire plans of the German Commander Lutz Heck (Daniel Brühl) and his Nazi battalion. 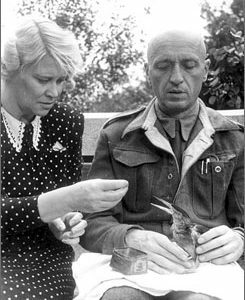 Over the six year occupation by the Germans, the zookeeper and his wife had to determine how far they would be willing to go to save their fellow Poles. This is not the first story of the Holocaust and it will not be the last, but the challenge for Caro is to provide something that is unique enough to make this film stand out from all of these stories. What this celebrated director has been given within Angela Workman’s historical drama is a wartime drama that occurs in a fascinating location. This element partnered with superb performances from the central cast, gives Caro’s creation the necessary differentiating factor. Considering the history of this point in time, this is the first film to capitalize on this theme and the lives of zoo owners during this period. The Żabińskas did provide refuge for hundreds of Jews, but as zoologists their first love was for their beloved animals. This uncommon platform sets the stage for Chastain and the cast to carry this heroic journey through to audiences. Even though the title of the book and film does focus on Chastain’s character, she is not the only performance of note. She is captivating in the lead role and leads the effort of delivering the heart of the story, but it is her supporting cast that produces the depth of the story. Johan Heldenbergh gives one of the strongest performances of the film with his portrayal of the quiet, but strong zookeeper and husband. He delivers the emotion behind the tension within the risks that the family continually go through to save souls from a premature death. The one soul that stands out is shown through the portrayal of Ursula by Shira Haas (Princess) that manages to capture the importance of the Żabińskas work. She captures the vulnerability and shattered innocence of that era, but the resolve of the human spirit. 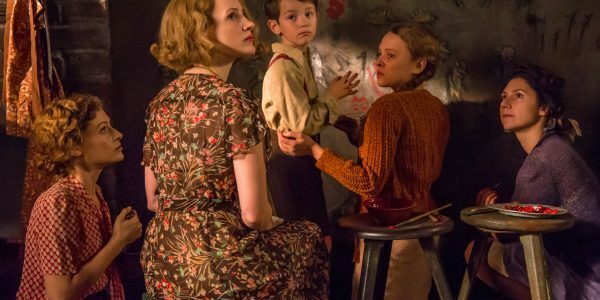 The Zookeeper’s Wife does give an uncommon and strong portrayal of the travails of the WWII era and the performances are worth getting along to see. The essence of the tale and the conclusion will be familiar and fails to have the action that may be preferred for modern audience, but it still serves as reminder of our need to avoid these atrocities again.